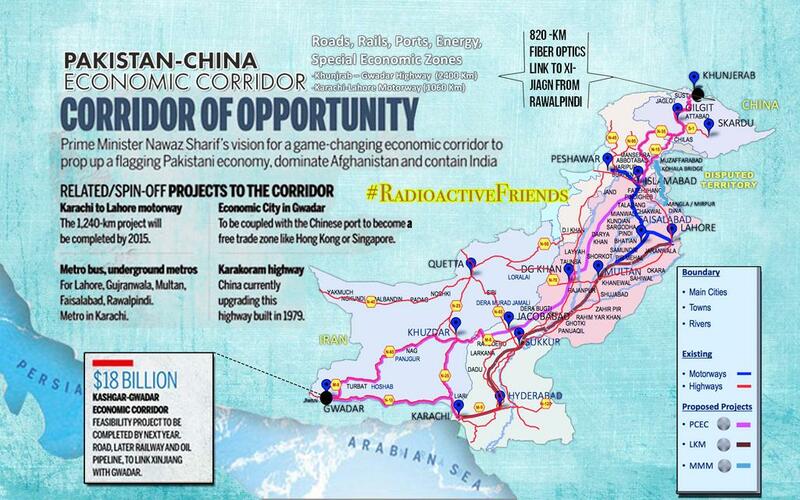 The China Pakistan Economic Corridor is a harbinger of good fortune for the region. It promises to boost Pakistan’ss economy and provide employment and business opportunities for locals, foreign investors can be attracted to invest along the long route of the corridor. 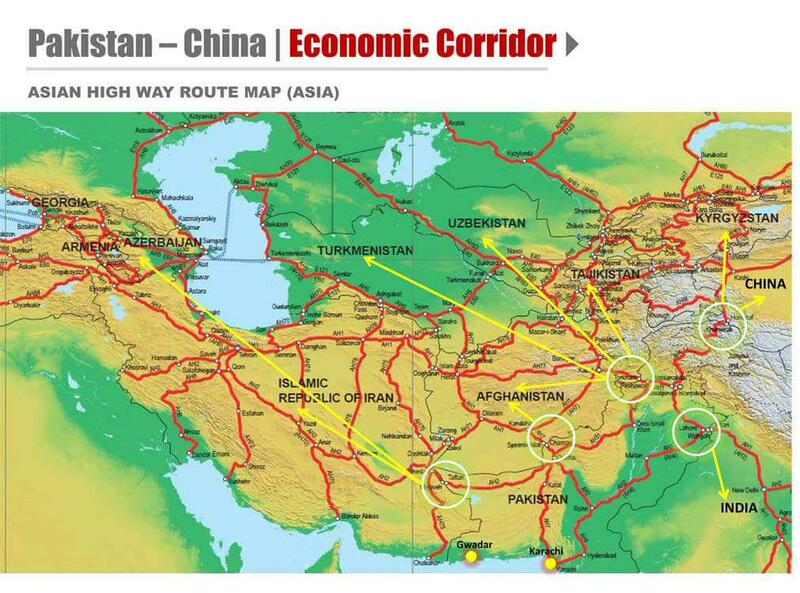 The China Pakistan Economic Corridor is of huge significance, it runs through one of the most important and vital geostrategic locations in South Asia. 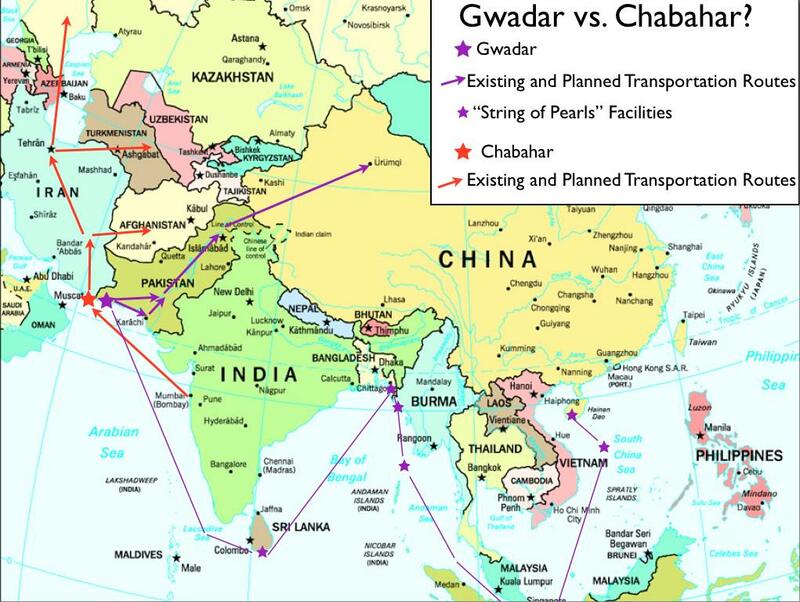 Gwadar port is one of China,s String of Pearls planned by China in Central, South and South East Asia to expand its political and economic influence and get these regions in its grip. In this tense scenario, Pakistan emerges as a major player of great value to both China and the U.S., it has the potential to balance Sino-US rivalry and expand trade in this region. China makes huge gains once Gwadar port is fully functioning, its previous shipping route passed through the Strait of Malacca, taking 45 days to reach destinations in Europe via the Middle East. Once the CPEC reaches completion, it will take Chinese shipments just 10 days to reach the same places. The Malacca route also carried risks of a blockade by United States Pacific Command if hostilities peak so the CPEC is a dream come true for China in all its aspects. A major portion of CPEC is reserved for power projects, extensive road networks and major infrastructure. The three trade routes are all inter-connected, starting from the Arabian Sea up till the Himalayas, they have inter-linked transportation. Pakistan will also make immediate gains from its membership of the SCO, of which it became a member in its summit this year. This year it has signed a series of landmark agreements with China, worth an estimated $46 billion, to secure investment for the China Pakistan Economic Corridor (CPEC) which is a network of roads, railways and pipelines that connect Gwadar port in Pakistan’s southern province of Baluchistan to Kashgar in China’s western province of Xinjiang. A proper spanner in the works was when suddenly this same coterie started saying the route had been changed to mostly within Punjab. The government reiterated that no change had taken place, after the whole anti- CPEC club went wild on print and television media. Publications with Western or Indian leanings have been spreading pure vitriol and disinformation against this project, even propagating the final assessment that the project would never materialise, or of it did, never subsist or survive. Before this, rumours had been spread that Gwadar would never be developed, today it has already been functioning some months. Indian Prime Minister almost asked the Chinese directly not to go ahead with CPEC as India hated the very idea and found it ‘unacceptable’, while on a visit to China. He was refused pointblank by the Chinese, after that India must be planning more insurgencies and buying more proxies. China is working on a very large scale, building Gwadar city and bringing state of the art speed-trains and motorways. Chinese Ambassador Sun Weidong recently reiterated China’s support to the China-Pakistan Economic Corridor and said that the project will be completed at every cost. Just some weeks ago, General Raheel Sharif visited Gwadar and drove down the CPEC himself, parts of it are complete. He expressed the resolve that the China Pakistan Economic Corridor would be completed at any cost. There has been some concern regarding security of Gwadar specially. A special security force is being formed to ensure smooth operations of Chinese development projects in Pakistan by the military. “A special security division comprising army battalions and Civil Armed Forces (CAF) wings (is) being raised as a dedicated force for Pakistan-China economic projects,” said Maj-Gen Asim Saleem Bajwa on Twitter, he is Director General Inter Services Public Relations (ISPR), the military’s media wing. He further added that the special division, to be commanded by a military officer of Maj-Gen rank, would have nine army battalions and six wings of CAFs to start with. In the past, an insurgency had been funded by India and the some arab countries to stop the construction of Gwadar, lately it has greatly diminished as nearly a thousand rebels have given up arms and vowed to mend their ways. This year, Baluchistan province was way ahead of the other provinces in celebrating Pakistans Independence Day, special events took place for three days, rallies were taken out. Foreign countries used these rebels to scare off investors and developers who were working with the Pakistani government,such as the Chinese, to sabotage Gwadar. They misquided the rebels that the demographics of Baluchistan would be upset with the advent of people from all over the world, now they have understood that prosperity awaits them. The CPEC is a holistic, comprehensive package of competitive economic initiatives from China, just the energy projects once initiated will kick-start an industrial boom in Pakistan. $15.5bn worth of coal, wind, solar and hydropower projects will come on-line by 2017 and add 10,400MW of electricity to Pakistan’s national grid, a $44m fiber-optic cable will also be built. A collaboration in space technology has also been announced very recently between Pakistan and China under the Karamay declaration of the CPEC. Bilateral collaboration on space technology will take Pakistan-China relations to new heights, joint space missions will take place. The CPEC is the gamechanger that Pakistan has waited for since quite some time, yet Pakistan needs to secure its own national interests first and achieve a balance. We have to balance relations with both China and the West instead of relying on one lobby and rejecting the other. Pakistan has to use a lot of diplomacy and balance China, Russia and the U.S., it should explore and utilise all its options. In this aspect itself, CPEC will prove to be a gamechanger, not just for Pakistan but for the world, in a way the CPEC could bridge the gap between China and America specially. CPEC should complete its short term goals pretty soon, the long- term goals will be realised once Pakistan discovers its true potential and emerges as a power to reckon with, both economically and militarily.